Washing System for Spinach, Lettuce, Cabbage and Mixed Greens. A washing system for spinach, lettuce, cabbage and mixed greens. Cycles to maximize cleaning without damaging the product. 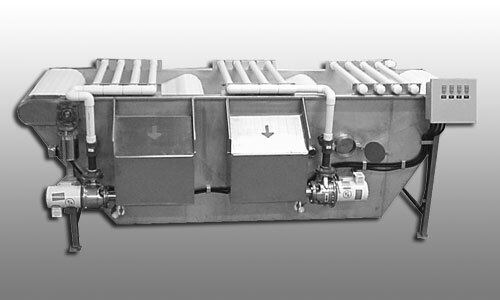 This stainless steel unit has 3 tanks and 2 hydro sieve filters for separating dirt and organic matter from the water. Dimensions: 48" w x 144" l x 46"h. Capacity: 2,000 lbs. of loose-leaf lettuce per hour. Holds: 375 gallon water capacity. Shown with optional Chiller System.